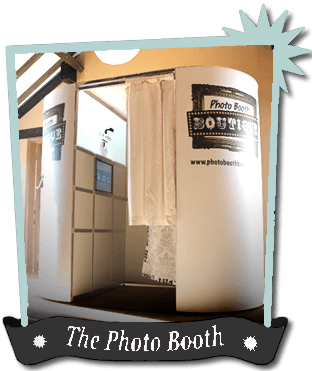 Photo Booth Boutique is a unique Photo Booth hire company based in the South of England. 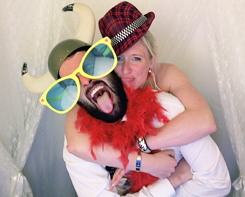 Photo Booths are a really fun and entertaining way of capturing those special moments at your Wedding, Birthday Party or Corporate Event. 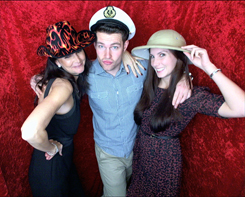 We supply fun and entertaining digital photo booths throughout Sussex, Surrey, London, Hampshire, Middlesex and Kent. 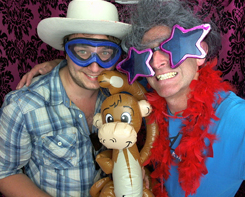 Perfect for your Wedding, Birthday Party, Mitzvah, Graduation, Prom, Work Party or Corporate Event. 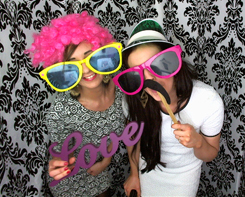 Photo Booth Boutique are a 'must have' entertainment company for any event! 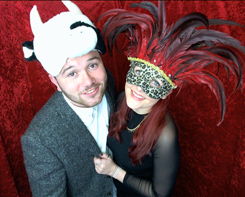 Each booth comes with a choice of Colour or Black & White Photos and Instant Facebook Sharing*. 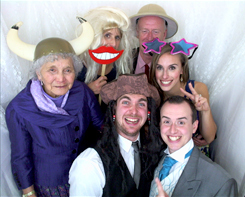 Our photo booths are custom built and use professional photographic equipment to deliver the highest quality images and a top class experience. 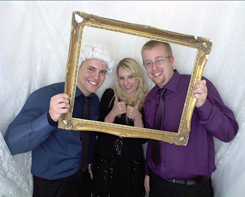 Friendly and helpful attendants will be with you throughout your event to help you get the most from your booth. 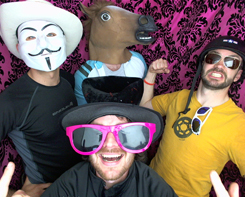 *Your venue must be able to provide a sufficient WiFi connection for Instant Facebook Sharing. 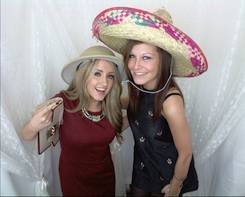 The Photo Booth	& The Photographer! 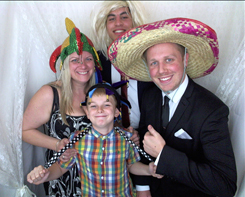 Select your choice of backdrop curtain, personalised photo message and a varied mix of comical props including wigs, glasses, hats, masks, inflatables and many other items. 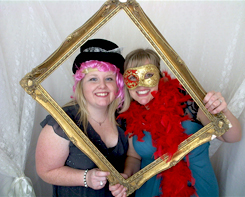 If you're looking for that vintage look, we recommend our beautiful handmade ivory lace backdrop curtain, colour matched ribbons and a selection of authentic and replica vintage hats, goggles, feather boas, gilt frames, moustaches on sticks and many other items. 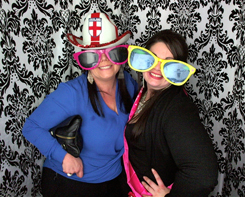 We would love to help make your event extra special! 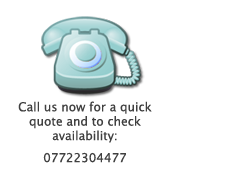 To find out more or get a quote please fill in our enquiry form. It only takes a moment.